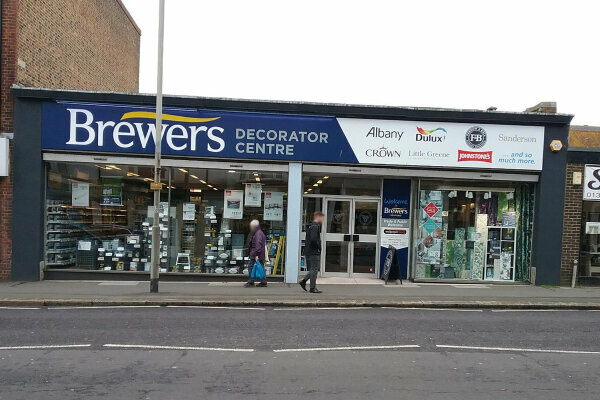 Our Seaford Decorator Centre is the only paint supplier in the whole town, giving us even more reason to keep our customers happy. We carry a surprisingly good range of paints, as well as wallpapers, fabrics, curtains and blinds. Of course we can also order any products into store through the branch delivery network or direct from specialist suppliers if we don’t carry what you need in stock. Always feel free to ask for our advice - our manager has been with us for 20 years and the assistant manager 10 years, so there’s plenty of knowledge to draw on! You can even bring the kids with you when you browse, as we have a dedicated kids’ area. Finding us is easy too. 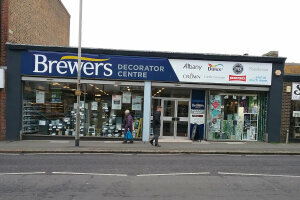 We have a big shop-front facing onto the A259/Clinton Place, with one window regularly updated to showcase the latest fabric and wallpaper designs and the other displaying our special offers. We’re just along the road from Tesco, not far from the war memorial. Round the back, on Clinton Lane, we have some limited parking available for customers picking up large paint and decorating equipment purchases. Head north-east on Dane Road towards Church Street, at the roundabout take the third exit onto Clinton Place. Follow Clinton Place and the store will be located on the left. Head south on Broad Street towards Clinton Place, turn right at the first cross street onto Clinton Place and the store will be located on the right. Head south-east on Station Approach, at the roundabout take the second exit onto Clinton Place and the store is located on the right. Head south-west on Sutton Park Road towards Broad Street, the store is located on the right.